HOUSTON (KTRK) -- For Patrick Lange, "beginner's luck" doesn't even begin to describe his fortune at Saturday's Memorial Hermann Ironman triathlon. 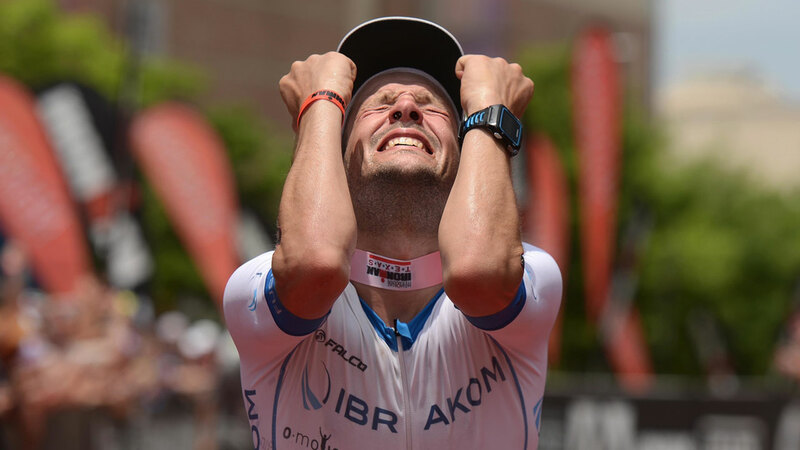 The German athlete took home the gold during his first Ironman attempt, with a final time of 7:13:13. Lange overtook his competitors around the seven-mile point of the marathon, building out an eight-minute lead over the second-place finisher. "Never, ever did I think I'd win. I can't believe it, I was hoping for top ten," said Lange. In the women's competition, fellow German athlete Julia Gajer overcame early issues during the bike portion to finish first, with a time of 8:11:01. A seasoned Ironman competitor, Gajer previously placed second at the 2015 Ironman European Championship and won the 2013 Arizona contest. German athlete Julia Gajer swept the women's race, finishing with a final time of 8:11:01. "I don't have any words. The crowd kept pushing me forward, I couldn't have done it without them. I left it all out there," Gajer said after she crossed the finish line. American Laura Brandon seemed to have clinched an early lead, finishing her swim in 48 minutes and 32 seconds -- faster than any other competitor, male or female. Gajer, however, managed to overtake Brandon during the fifth mile of the marathon.